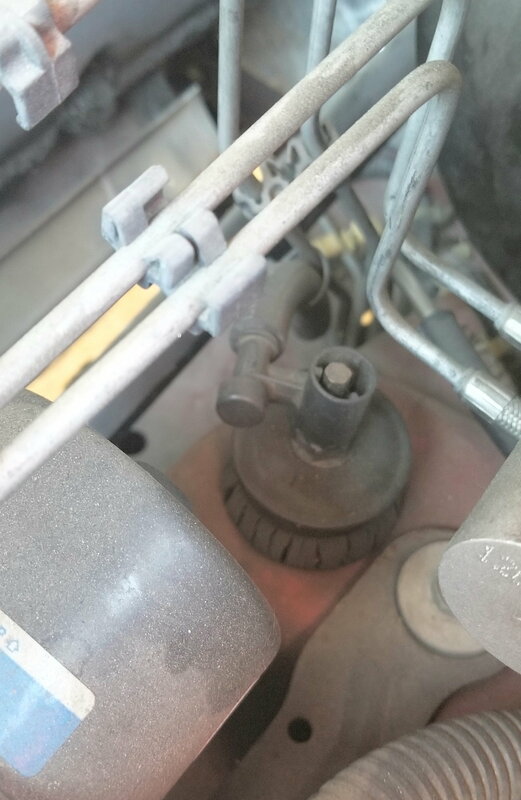 I need to know what this is (see pic) attached to the driver's side shock tower, and whether I'll break something if I try to pop it off. Looks like the vent for the transmission or transfer case. That makes more sense, The transfer case vent is usually mounted to a bellhousing bolt. One thing to consider if you decide to move it is that you want it as high up as possible, especially if you do any kind of offroading or driving in water. Mounting it down low is a good way to get water in your diff even though that end on it is designed to keep water out. I carefully pried it off, then replaced shocks without a problem. To shock tower or not? Rear shock tower or hoop? BWE Rear Shock Tower Kits now available! Quick Reply: What's this on my shock tower?